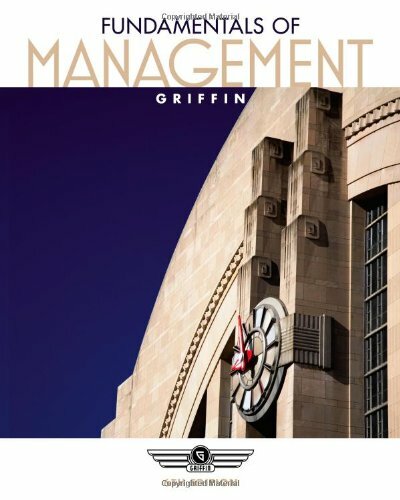 Prepare for success in management today with this brief, streamlined approach from leading management author Ricky Griffin. FUNDAMENTALS OF MANAGEMENT, 6E offers a strong theoretical and functional framework clearly organized around the functions of management with a concise presentation that offers the flexibility to add cases, exercises or projects. The book's proven balance of theory and practice incorporates numerous, engaging learning features to help readers develop and strengthen today's most important management skills. Opening vignettes immediately emphasize the relevance of each chapter's content, while skill applications and new cases keep readers focused and actively engaged. New features reflect today's emerging management challenges, including the economic crisis and energy crisis. With FUNDAMENTALS OF MANAGEMENT, 6E, readers quickly find themselves equipped with the confidence of a management professional. Ricky W. Griffin serves as Distinguished Professor of Management and Blocker Chair in Business at Texas A&M. He received his Ph.D. in organizational behavior from the University of Houston. He has served as editor of the Journal of Management and as an officer in the Southwest Regional Division of the Academy of Management, the Southern Management Association, and the Research Methods Division and the Organizational Behavior Division of the Academy of Management. Dr. Griffin spent three years on the faculty at the University of Missouri (Columbia) before moving to Texas A&M University in 1981. His research interests include workplace violence, employee health and well-being in the workplace, and workplace culture. A well-respected author recognized for his organizational behavior and management research, Dr. Griffin has written many successful textbooks, including: Management, Organizational Behavior, HR, Management Skills, Introduction to Business, and International Business.